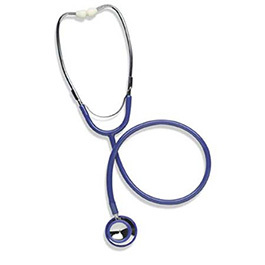 Die-cast zinc alloy, chrome-plated chestpiece make the Caliber™ Series stethoscopes functionally sensitive and uniquely attractive. Ideal for intake and general examinations. The Caliber Series offers a color coordinated snap-on diaphragm retaining ring and non-chill ring.